I’ve already mentioned a few of the top ideas that came out of Aviary’s recent Photo Hack Day Japan, including ‘Back to the Future’ and ‘Before the Filter’. But one of the other projects really resonated with me, as I’m a big user of flash card apps for language learning. 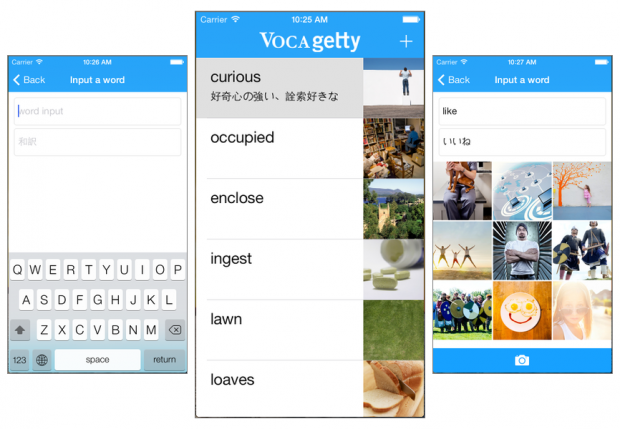 Vocagetty was a clever sort of dictionary app proposed by the team of Atsushi Onoda, Hiroshi Kanamura, Shinichi Segawa, Yasushi Takemoto. It makes use of the Getty Images API to pull in pictures associated with the vocabulary you’re studying, and the Imagga API to generate smart crops of those pictures. The idea here is that the pictures will reinforce the word or idea, making for more a effective learning process. 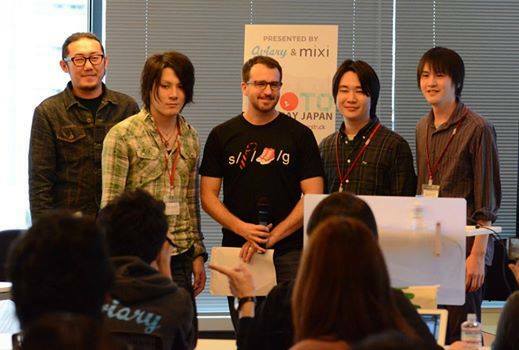 Overall Vocagetty impressed at the hackathon , taking third place and walking away with 100,000 yen (about $1000). I’m told by Atsushi Onoda that the group will continue to develop Vocagetty, with plans for an upcoming release in April. There are lots of similar learning services and apps already on the market. But it’s an interesting space because companies can choose to be either an all purpose study solution that can be used for any subject (see Anki or Memrise for example), or they can target a niche like Japanese language, medical terms, or the periodic table. I was glad to see Vocagetty incorporate an image solution, because it was a good example of how a flash card or word study service can supplement text-based information. On a related note, I’ve recently revisited the aforementioned Anki (after a long time away from it) because I wanted to test out its support for automated audio, which can accompany vocabulary by installing one of many add-ons . While many services have a audio for pre-made flash card decks, this capability to bring audio to cards you add yourself is incredibly helpful. It will be interesting to see in what direction Vocagetty takes its service, so stay tuned for more about them later this spring. We’d like to feature comparable services soon as well, so stay tuned.